Note: Daylight Savings Time Starts at 2:00 AM Sunday March 9. Set clocks forward one hour. Open to all USA Swimming registered athletes, with priority being given to PVS athletes. Clubs interested in participating should request an invitation from the PVS Senior Chairman, Riley Eaton at (301) 367-2819 or jreaton@verizon.net. Contestants must have equaled or bettered the applicable no slower than (NST) qualifying times listed. Qualifying times must have been achieved after February 26, 2006. Positive check-in is required for all individual and relay events 400 yards and longer. These events will be seeded on the deck. Swimmers and relay teams not checked-in will be scratched from that event. Athletes who have checked in, been seeded, and fail to swim the event will be barred from their next scheduled individual event. Dive-over starts may be used during the preliminary sessions at this meet at the discretion of the Meet Manager and/or Meet Referee. Coaches are requested to review Guidance for Dive-Over Starts for Coaches. Officials are requested to review Protocol for Dive-Over Starts. There will be NO SCHEDULED BREAKS prior to the start of distance events or relays. Officials for this meet will be assigned by the PVS Officials Committee. USA Swimming is expected to designate and approve this meet for national certification of officials. Those officials working a minimum of three (3) complete sessions will be able to apply for national certification. 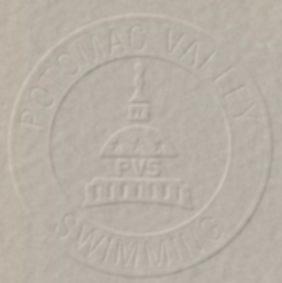 All certified officials wishing to volunteer to work this meet please contact the PVS Officials Chairman, Jim Van Erden at 703-239-2963 or email jim.vanerden@cox.net no later than Tuesday, February 26. Please include your club affiliation, certifications held, and sessions you wish to work. Those officials who learn of their availability subsequent to February 27 are encouraged to contact Jim Van Erden as soon as possible. Entries should be submitted using Hy-Tek Team Manager via e-mail. Events for this meet can be downloaded at 42mm030608 . Include in the e-mail subject heading "2008 PVS Senior Championships - ****" with the club's initials substituted in place of the asterisks. Also include training site if your club submits multiple entries and number of timers being committed. 5:00 p.m., Tuesday, February 26, 2008. Important: The above date is the deadline for clubs to submit their entries to the Meet Director. Therefore, clubs usually set an earlier deadline to receive entries from their swimmers. Check with your club for this information. Athletes achieving a qualifying time for the first time between February 27 and March 2 will be allowed to enter the meet under special arrangements. Email your entries to Brian Pawlowicz at brianpawlowicz@cubu.org by 5pm on Monday, March 3, 2008.